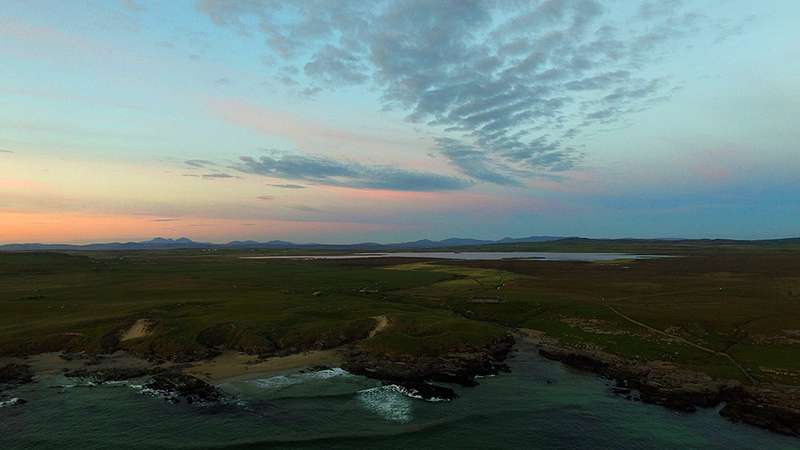 A June evening on the west coast of Islay, high above Saligo Bay with a drone, just after sunset. The last light of the gloaming illuminating the sky and reflecting on the sea. The Atlantic stretching out into the distance. 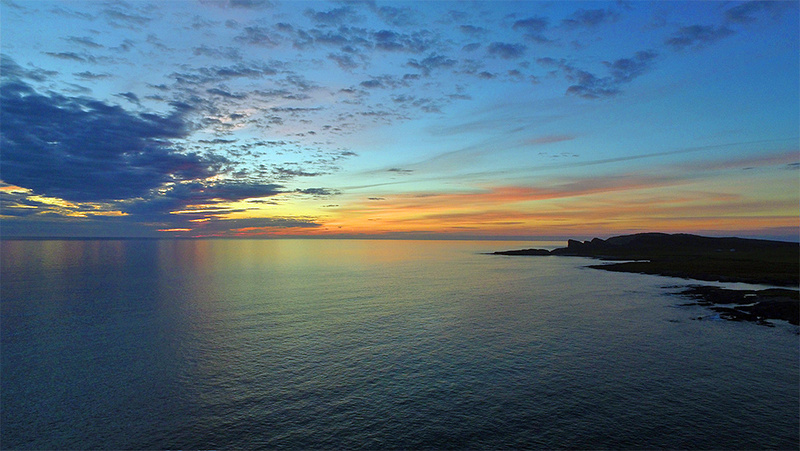 A June evening on the west coast of Islay, very late in the evening, just after sunset in the last light of the gloaming. Saligo Bay with its beach below us, Saligo River flowing into the sea towards the right. Loch Gorm in the distance. Jura in the far distance with the Paps of Jura towards the left. 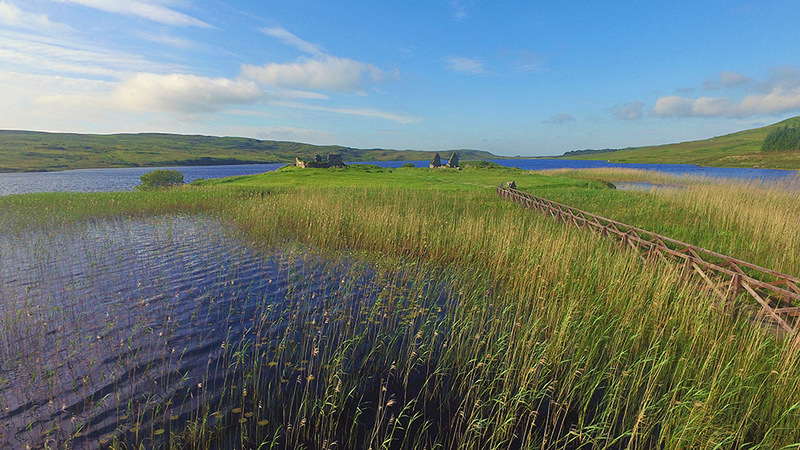 A different view of Eilean Mòr at Finlaggan, taken from a drone hovering above the reedbeds. The bridge leading from the “mainland” to Eilean Mòr on the right.